Glacier Chiropractic can relieve the pain after a car accident. You need a chiropractor in the Ballard, Seattle area who is familiar with the symptoms of whiplash or other accident-related injuries. We accept walk-ins and do not require appointments, which enables us to give you the chiropractic treatment you need when it’s convenient for you. Glacier Chiropractic is located in the Ballard neighborhood, and it is our priority to make sure you receive the best level of care from experienced chiropractors. Studies show that accidents with speeds as slow as 6 m.p.h. can cause significant damage to the neck and spine. 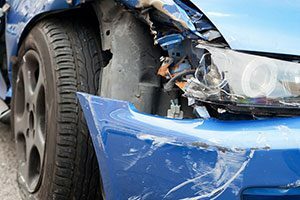 Untreated whiplash and soft tissue damage should not be taken lightly — though it is often easy for a person involved in a car accident to brush it aside, assuming the injuries will get better on their own. Glacier Chiropractic advises victims of automobile accidents to schedule treatment right away. The sooner you receive a thorough exam and chiropractic adjustment, the less chance the injury will have to take hold of your body and your life. Our Seattle practice will gladly assist you and give you the immediate care you need. Treating injuries sustained from a car accident (including minor fender benders) involves receiving specific adjustments, and performing an assigned set of exercises geared towards stabilizing the muscles and ligaments that support the spine. Spinal adjustments help to reposition injured and stressed bones to promote healing throughout the body. The practitioners at Glacier Chiropractic will guide you towards the right treatment for your specific injury so you can regain your mobility and restore a sense of well-being. When recovering from accident-related injuries, you need a car accident chiropractor who has knowledge and experience. At Glacier Chiropractic of Seattle, we will work with your body’s own ability to heal, using a hands-on, drug-free approach that doesn’t involve the negative side-effects of medication or invasive surgical procedures. Call us today or stop by our Ballard office to get your body back on track.